In my previous post I told you about our plans to celebrate my son’s birthday with a weekend trip to Dublin. 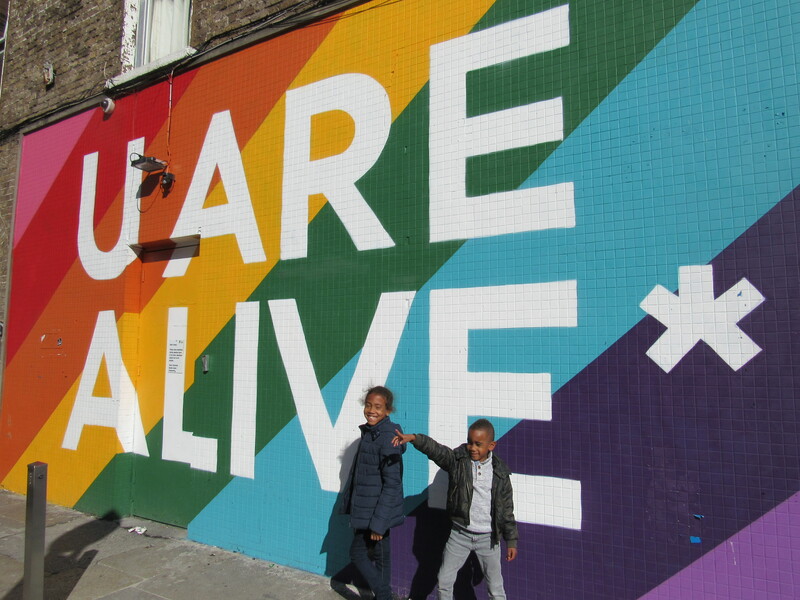 We caught the first flight out of London and covered a lot in the first day; thankfully our hotel room was ready when we arrived and we were able to drop our bags, freshen up and hit the streets. We purchased a two day pass for the hop on/hop off bus which took the guess work out of which sites to see and how to get there. I would normally prefer to walk everywhere but given the time constraints and the number of things that we wanted to see and do in just two days I decided to take the bus instead for efficiency. The weather cooperated so we took advantage by strolling over to St Stephen Green Park to meet our bus. 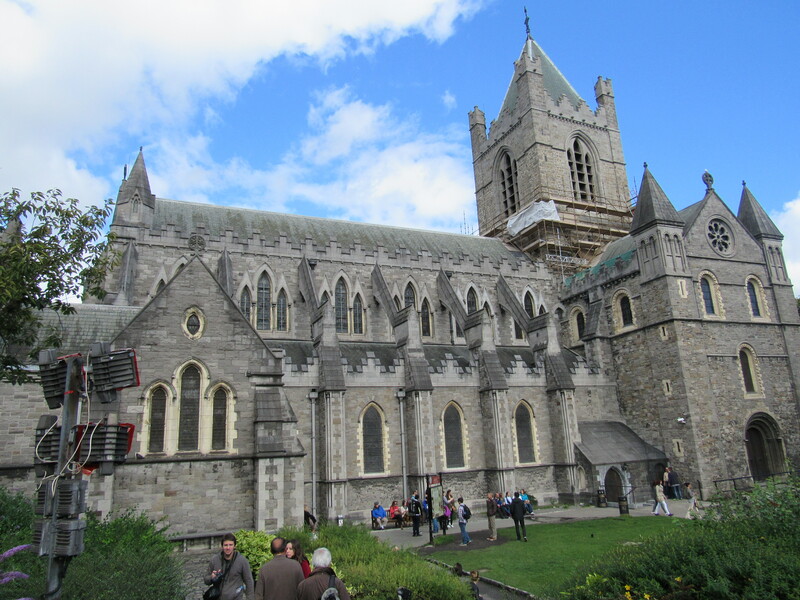 Our first stops were to Dublin Castle and Dublinia to learn a bit about Viking and early Irish history leading up to Southern Ireland’s independence from Great Britain. 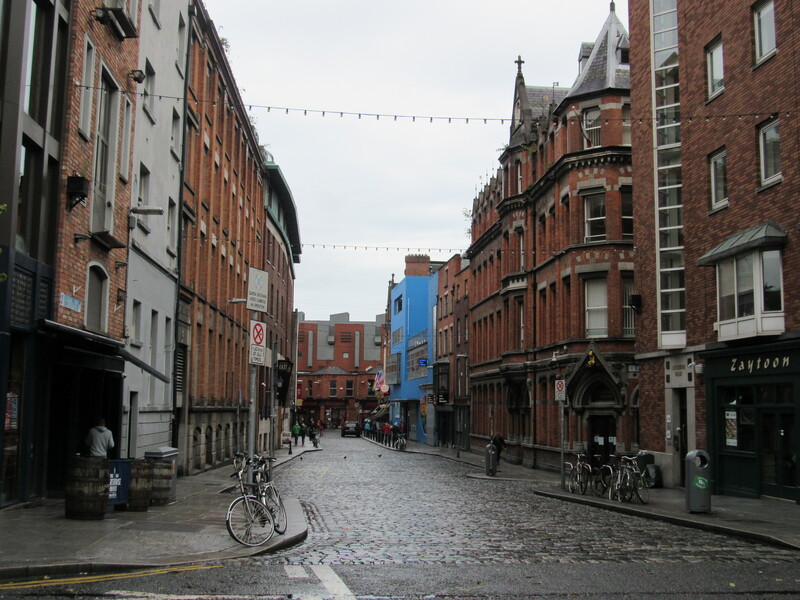 The history of Ireland is quite interesting and the Dublin seemed to have escaped the wave of modernization that has stripped so many old cities of their charms. 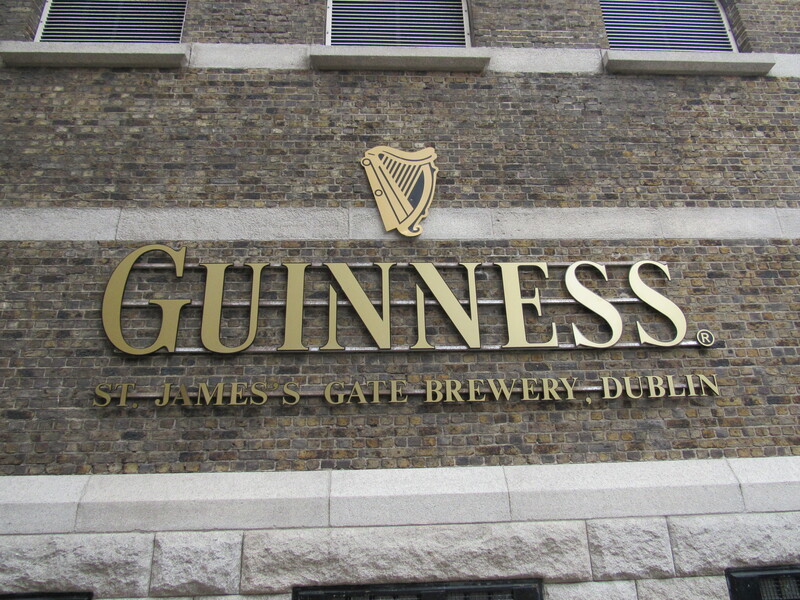 After the history lesson we walked over to the Guinness factory for lunch. This proved to be a popular choice as the line to enter was nearly 30 minutes long. I purchased tickets online from my phone to accelerate the wait and we went immediately to the restaurant level near the top. The main restaurant was severely understaffed and could not accommodate any additional reservations despite the number of empty tables that would seem to contradict the maître d. This just gave me the excuse to get my family to join me in the main bar where traditional Irish music and dancing were performed live on stage and the volume and energy ran high. We ordered Guinness burgers and I had my first pint of Guinness EVER. I was prepared not to like it but surprisingly, I really enjoyed it. The early wake up was fast catching up with us and my son was the first to succumb as we headed back to the hotel to rest before dinner which turned into breakfast but not before the bus took us all around the city and through Phoenix Park. With an early start on the second day we hopped on the bus to the restaurant area where we tucked into a restaurant called Elephant and Castle (ironically named after an area of London) where we were drawn in by D’Angelo’s Brown Sugar album that was playing cover to cover. We enjoyed our brunch and the waiter even surprised my son with a special birthday sundae. Refueled and ready to cover the parts of the city that we hadn’t previously explored. 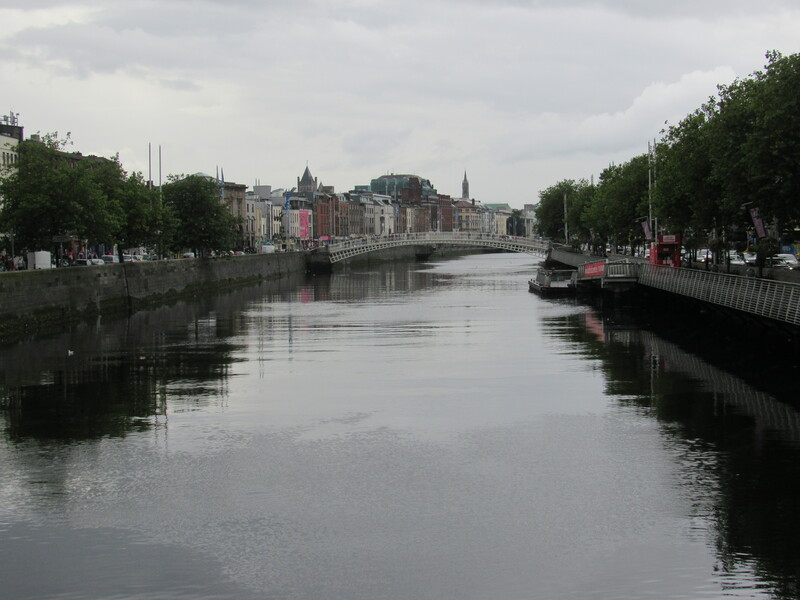 Lacking a structured agenda on the second day gave us the opportunity to really get a feel for the city’s vibe as we walked around the River Liffey. We were careful not to lose track of time meandering around the city and capped off our visit with a stop at an ice cream parlor for a full celebratory birthday treat with my son before returning to the hotel to collect our bags and head to the airport. Once we passed through security and were settled near our departure gate I enjoyed one final pint of Guinness for the road. My son was thrilled to have spent his birthday in a new place and hopefully it was an experience that he won’t soon forget. Even if he doesn’t remember the details of what we did and saw long term, none of us will soon forget the smile that he beamed as he knows that he his loved on his birthday and always.